Amritsar, April 17: Pakistan on Tuesday agreed to construct a 100-metre bridge over Ravi river for smooth passage of Sikh pilgrims by connecting India’s Dera Baba Nanak with Kartarpur Sahib across the border, reported India Today. However, it is still not clear whether India will share the cost with Pakistan for the construction of the bridge. According to the report, the technical teams from India and Pakistan also discussed the construction of a road and fencing along the proposed road on both sides of the bridge. Kartarpur Corridor Talks: India Asks Pakistan to Grant Visa-Free Entry to 5,000 Indian Pilgrims Per Day. On April 16, both the countries held a meeting discuss outstanding technical issues pertaining to the construction of the Kartarpur Corridor. India had postponed the second round of talks with Pakistan after reports surfaced about the involvement of pro-Khalistani Sikh leader Gopal Singh Chawla in the Kartarpur corridor construction process. Both the countries are previously slated to meet on April 2. 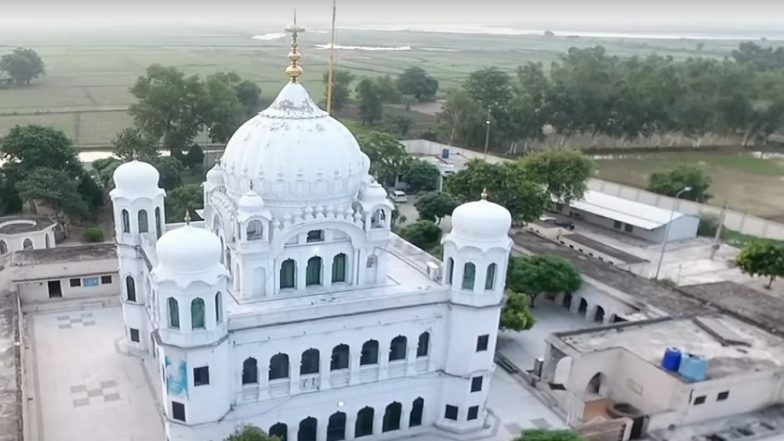 Kartarpur Corridor Talks: Gurudwara Land Encroached Rampantly in Pakistan, India Seeks Early Restoration. According to the Ministry of External Affairs spokesperson, Ravish Kumar, despite postponing the talks, India offered to hold a technical meeting to discuss other aspects. Meanwhile, local media has claimed that Pakistan completed 50 percent of the construction work of the corridor. The first meeting on the Kartarpur Corridor to finalise the modalities for setting up the corridor was held on March 14, at Attari-Wagah Border on the Indian side. In the meeting, both the countries agreed to work towards expeditiously operationalising the corridor. On November 26, India laid the foundation stone of the corridor while Pakistan did it two days later on November 28.